Ed note. This post is by Kelly Levin of the World Resources Institute and was originally published on the World Resources Institute blog. Parts of the United States are expected to be colder than Antarctica this week, and three-quarters of the U.S. population will likely experience temperatures that dip below freezing. Climate deniers are already using the polar vortex to call into question the existence of global warming. Yet a cold snap in one region has little to do with worldwide warming. Indeed, the latest scientific research shows a relationship between a melting Arctic and extreme winter weather. First, it is worth noting that record cold temperatures are happening against the backdrop of unabated warming. The last four years have been the warmest on record, and there is every indication that this global warming trend will continue. Right now, Australia is experiencing a brutal heatwave, which has led to heat-associated illnesses, power outages, fires and wildlife die-offs. The Arctic is warming two to three times as fast as the global average. Scientists say warmer air temperatures in the Arctic can weaken the polar jet stream, a west-to-east river of wind where cold Arctic air meets milder subtropical air in the mid-latitudes of the Northern Hemisphere. A strong jet stream typically traps the polar vortex over the Arctic, but when it’s weakened, the cold air can stray southward into the United States. Warmer Arctic linked to U.S. winter extremes: Scientists have strengthened our understanding of the link between a warmer Arctic and the frequency and changes of U.S. winter weather, especially cold spells and heavy snows in the Northeast and upper Midwest. While previous studies only looked at a few months’ or a year’s worth of data, authors of a recent Nature Communications study analyzed data stretching back to 1950. They found a strong relationship between warm Arctic temperatures and severe winter weather east of the Rockies, especially in the eastern United States. Warmer Arctic linked to Eurasian winter extremes: Researchers have now confirmed a pattern of colder winters and more frequent cold air outbreaks in Siberia, following sea ice loss in the Barents-Kara seas in late autumn. In another study, scientists found that over the past 37 years, weakened polar vortexes happened more frequently, allowing frigid air to escape the Arctic. 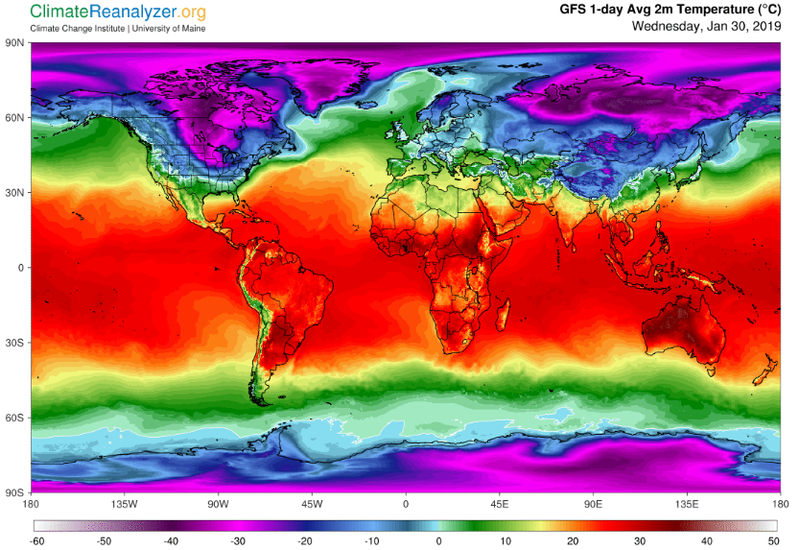 This helps explain cooling trends seen in mid-latitude Eurasia. Warmer Arctic linked to prolonged extremes: Scientists have now established a link between Arctic warming, sea ice loss and more persistent weather patterns in North America. When weather conditions get “stuck” and last for many days—a phenomenon caused by altered wind circulation patterns—they can cause prolonged and damaging droughts, cold spells and heat waves. There are still many questions to be answered. For example, warmer Arctic temperatures is only one effect of climate change. Other changes to the climate, such as future warming of the upper atmosphere over the tropics, could counterbalance effects on mid-latitudes, presenting a tug-of-war between various climate impacts. And a quick analysis from the World Weather Attribution (WWA) last year found that a two-week cold wave affecting the U.S. Northeast and southeastern Canada in December 2017/January 2018 was not intensified due to Arctic warming. On the contrary, the researchers found that cold waves like the one the United States is experiencing now have become rarer.